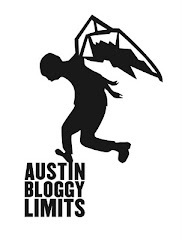 Canadian, folk-rockers The Wilderness of Manitoba will be on Austin tomorrow night. They play the Parish in the support slot for Rasputina. 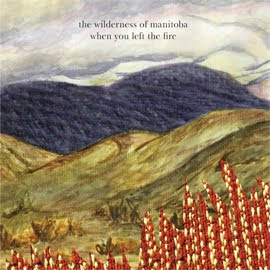 If you're a fan of honest, pastoral, roots music packed to the gills with gorgeous harmonies, then you should listen to the latest album from The Wilderness of Manitoba, When You Left the Fire. Or, you can just pick-up the new album down at the Parish tomorrow night. There are still tickets available and if you buy them today instead of tomorrow, you'll save yourself 2 bucks. I had the chance to interview Melissa of The Wilderness of Manitoba, which you can read below the break. What inspired the title "Orono Park"? We worked on this song over the course of a couple of months, in different parks around Toronto and finally finished it while on tour, in Montreal's Mont Royal park. We visited Scott's hometown of Orono, ON before heading home and decided that Orono Park would be a fitting name. Who designed the beautiful album art and what is the medium? I made the artwork for the album using a variety of media - watercolor paint, hand screen-printed fabric, embroidery and yarn woven on a traditional loom. Then it was scanned and collaged together on the computer. It was, in part, inspired by the idea of loneliness in the wild and Joni Mitchell's song 'Cactus Tree'. What was the music of your youth? Was your household a musical one? Some of us grew up with parents who played instruments and wrote songs (one of our songs, 'Evening' was written by Will's mom in the 60s) and I think in general, we were all influenced by what our parents listened to which is a lot of the music that we continue to be inspired by. Bands like Simon & Garfunkel, CSN, Neil Young, Fleetwood Mac etc. The song-cycle is very wintry, what is one of your favorite winter records? 'Our Endless Numbered Days' by Iron & Wine is a great wintery album that I'm into. The song 'Cinders & Smoke' has a sound, somewhere in the background, that I imagine is a gas stove being lit in a snowed-in cabin. If you could collaborate with anyone living or dead, who would it be and why? Joni Mitchell. I feel like I could learn a lot from working with her and I know that she would be entertaining to hang out with - she seems to have such a different perspective on life and music and is a very funny woman (or so I've heard!). The title, "When You Left the Fire" implies an important life-change. Was this record inspired by a specific event or series of events or is meant to be evocative? I suppose it's a combo of events and the desire to express loneliness or of an empty, wild landscape. At the time that we made the album, we were spending a lot more time together (some of us were living together) and that led to more writing and arranging as a group so that did affect the sound from the previous recording that we had done and it also affected how we interacted with one another. Is everyone who performs on the record part of the touring band and/or are there members of the touring band who are not on the record? The 5 of us are all on the record and touring together - though some songs on the recording didn't involve everyone and sometimes we tour without our drummer, Sean. What are the high-points and low-points of touring? Is touring the U.S. vastly different from touring Canada? High points - camping in the Anza-Borrego Desert State Park, meeting cool new people, listening to great bands like Other Lives or Rasputina live, trying delicious craft beers like 'Ibita'. Low points - traveling for too many hours at a time, traffic on I-95 from Delaware to NC, Northern Ontario van breakdowns. So far, the difference between touring in Canada and the US is minimal though we are learning a lot of new things about each state that we go to - like the honey on pizza thing that we discovered in Nebraska! - but the crowds are equally friendly and supportive. As Canadians, what are your thoughts on Ketchup chips? Sometimes, you crave them but they aren't an every day kind of thing!